We absolutely love these little gems which have come all the way from Tuscany to grace our shelves, and are a bit of a red carpet trend. 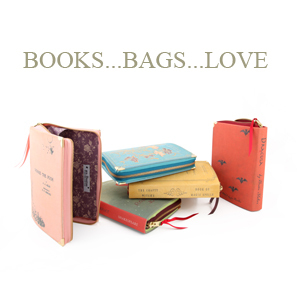 Lovingly handmade, each bag is totally unique and with so many titles to choose from there is one to suit everyone's taste and personal story. Helen's heart melted when she spotted 'Winnie the Pooh' by AA Milne because tucked away in her book case is a very worn and much loved copy of 'When We Were Very Young' which had belonged to her father and had been a gift from his grandmother. The cover may be faded and marked, and the pages dislodged, but having served many generations it remains a very special book to Helen and her family. 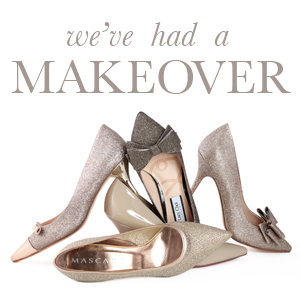 It was time for a change, and we're super-excited to show you our new look website. As always, we've drawn on years of experience to create a collection combining creativity and modernity, full of gorgeous fashion finds focused on design, craftsmanship and luxury. You'll find lots of our favourite labels and desirable designer wear, and as our collection is ever-evolving you can be assured of a fresh experience each time you visit our online boutique.